Traditions describe the origin of Daito ryu as the creation of Shinra Saburo Minamoto Yoshimitsu (1056-1127), a legendary warrior, and a descendant of Emperor Seiwa. The tales surrounding the skills of Yoshimitsu portray him as a man proficient in the arts of the bow (kyujutsu), the spear (sojutsu), and the sword (kenjutsu), among others, besides being a great horseman. Yoshimitsu, according to legend, seemed to have been inspired into creating some of the techniques of his art by the movements of a spider trapping its prey. Also, he is said to have dissected the bodies of dead enemy soldiers in order to look into the structure of the joints, the resistance of the ligaments, muscle structure etc. Based on these observations, he devised principles of unarmed combatYoshimitsu's art remained as a family tradition and was kept alive through the generations, and was eventually inherited by his descendants, the Takeda of Kai (ancient kuni, or province, currently Yamanashi prefecture). Nobutomo Takeda, brother of the notorious warlord Shingen Takeda , leads the lineage of the art that sprang from the art of the Takeda of Kai and survived into what is known today as Takeda ryu. Kunitsugu Takeda traveled to Aizu after the defeat of Kai by the forces of Oda Nobunaga and leyasu Tokugawa , and established himself in the Aizu han (fief) bringing with him the techniques created by Yoshimitsu. The Aizu han's history has been relatively well recorded. Its martial arts traditions are vast and prestigious, several of which have survived to the present day. It was a suitable place for the art of the Minamoto/Takeda to flourish. There, the art created by Yoshimitsu encountered the influence of other combat arts, not only jujutsu, but other styles of swordsmanship, spearmanship, etc. Several families with martial traditions were part of the clan and Takeda's art took its place among them, influencing and being influenced by them. The ancestor of Daito ryu, the art of Yoshimitsu, began to take its final form in Aizu. 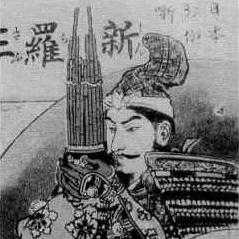 A prominent family of the Aizu was the Saigo/Hoshina, with martial traditions of its own, and it was to play a fundamental role in the survival of Daito ryu. Oshikiuchi, or odome, or goten jutsu, as the art has been called, was being taught to members of prominent families within the clan, hatamoto, members of the palace guards (of both sexes), and other individuals whose rank or occupation made it necessary for them to learn it. However, it is necessary to mention that the teachings did not limit themselves to combat techniques, but included rules of ethics, manners and proper behavior (mainly those to be observed within the palace), protocol, strategy for the safeguarding of the palace, and even religious ceremonies. All these (and other aspects) of the teachings were indivisible from the combat techniques for many individuals.Even then, however, oshikiuchi presented two marked tendencies (some researchers have pointed out more). One type of teaching showed techniques with broad movements, long steps and postures much more akin to battle field strategy than the confined spaces of the palace quarters and halls. This type seemed to be the way of the Takeda. On the other hand, there were also the techniques performed within a small space, with less ample maneuvering, more self contained, and emphasizing seated techniques that counter the attacks with a minimal amount of changes of posture (reputedly the Saigo/Hoshina influence, remarkably similar in principle to the techniques of the art of the Kuroda family). In theory it is more suitable for indoors use. In 1643, Masayuki Hoshina (a teacher of oshikiuchi himself) became lord of the Aizu clan. In 1696 he received the name Matsudaira from the Shogun. 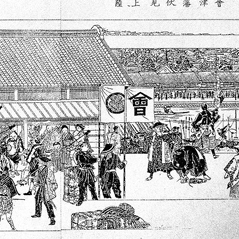 In October 1799 the Nishinkan, Aizu martial arts school, was built. A Martial Arts Academy, this teaching complex shows more clearly than any other historical record the importance that the Aizu clan placed on the education of its members. At the end of the Boshin war, September 22nd 1868, the Aizu clan surrendered, and a new historical chapter began. Some time after, the last Jodai Karo (minister) of the Aizu han, Hoshina Genshin (1830-1905), also known as Chikanori Saigo, or Tanomo Saigo (teacher of oshikiuchi) retired to private work at Nikko Toshogu Shrine. But that was by no means the end of Daito ryu. It is important to point out that the techniques of oshikiuchi (Daito ryu) are the roots of several other arts and lineage's, some as well known as Shinno Shindo ryu, others are private family arts such as Koyama ryu, whose roots are linked to members of the Aizu han. Some of these individuals, or families, left the clan at one point in time or another, and kept the techniques alive, adding to them or modifying them to suit their needs. In some cases those smaller ryu-ha, or off-shots have remained relatively faithful to the original. However, Daito ryu in itself would never have been as widely known as it is today, were it not for the teachings of one man: MASAYOSHI MINAMOTO SOKAKU TAKEDA (1859-1943). He was a descendant of Emperor Seiwa, and of Yoshimitsu, and a man strongly attached to the old ways, the ways of the samurai. It is fair to recognize that although other families kept the Aizu traditions alive and well in a commendable effort to preserve something of great value to them, those traditions (the techniques of Daito ryu) were not taught to the general public. In a closed environment the purity of the techniques were kept, but those who learned them were relatively few until today. Sokaku Takeda received the advice of his own teacher, Tanomo Saigo, to teach the art of oshikiuchi publicly. First called Yamato ryu, and later changed, by suggestion of Kotaro Yoshida (oral tradition tells us) to Daito ryu, the secret art of the Aizu han began to be taught to many prominent members of Japanese society, among which was Morihei Ueshiba, the founder of Aikido. Although Sokaku Takeda kept no official dojo, he taught many, and some of those he taught contributed to the survival of the style by becoming teachers in their own right. We do recognize the fact that Sokaku Takeda did not teach each student in the same way, nor was the way of performing the techniques identical in each line of Daito ryu. 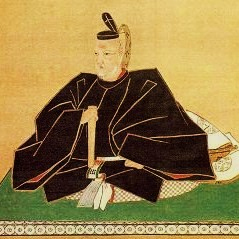 It is speculated that Sokaku taught each student according to the individual needs. He changed methods and techniques at will and each change has become a particular trademark for each style of Daito ryu, be it Takumakai from Takuma Hisa, or Kodokai from Kodo Horikawa, or the amazing techniques of Yukiyoshi Sagawa. There is no right or wrong. All is Daito ryu, and all can coexist, in mutual respect. Even the names of the techniques may vary. Let's not forget that in the older documents available there are names, no longer in use, as ambiguous as kamon o hiraku (opening the small gate), or shimon o mamoru (defending the four gates). Still the principles remain. 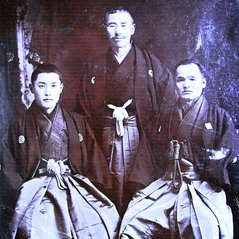 Some researchers have speculated that the techniques taught by Sokaku Takeda in the Meiji era might have been re-arranged by using Asayama Ichiden ryu jujutsu as a pattern to offer a more comprehensive format. The likelihood of this statement being true is remote, but taking into consideration some similarities, and the fact that we have no sources that confirm where Sokaku Takeda obtained the well written certificates of proficiency he handed out to some students, we can not completely discard the theory. It is thanks to Saigo Tanomo's advice and the endeavors of Sokaku Takeda that the art of the Aizu han has kept its place in history and is still among us. Other individuals have also contributed in a much smaller degree. Shiro Saigo, Kotaro Yoshida, Masayoshi Hanmura, Ichio Oba, Unsui Kitano, and Houei Yamashita, among others, but it is undeniable that Sokaku Takeda indeed deserves the title of chuko no so (or reviver of the secret art of the Aizu han). Today we may owe our learning to the efforts of teachers like Kodo Horikawa, Takuma Hisa, Tokimune Takeda, Yoshinori Ichikawa, Yukiyoshi Sagawa, Toshio Shima, Yasuke Inoue and many others. Regardless of their lineage, we are still part of the great traditions of the Aizu clan. Training must be done with respect, with full spirit and never losing the feeling of awe, or the sense of duty. There will be a time in which we might be called to offer something back for what we have received, in order to preserve the traditions, and it must be done with honor, or it would cease to be Daito ryu.